Do you care about your dog’s joint health? 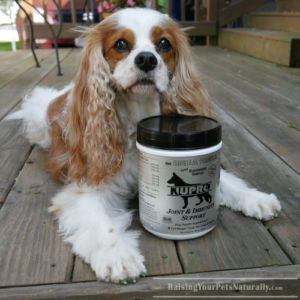 Are you being proactive in your dog’s health regimen to include a natural joint support? Well, I think you should. I feel that as a Dog Mom with a focus on preventive health care, a natural joint support supplement for dogs is a must. Dogs and people both benefit from having healthy joints and bones. 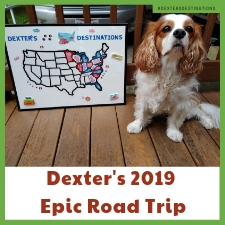 I am always looking for natural and healthy ways to improve Dexter‘s health and hopefully prevent, postpone, or at least minimize the effects of common diseases or ailments. A healthy, species-appropriate diet is one of the most important things you can provide to help your pet thrive. Healthy dog supplements are high on my radar, and joint health is a must. 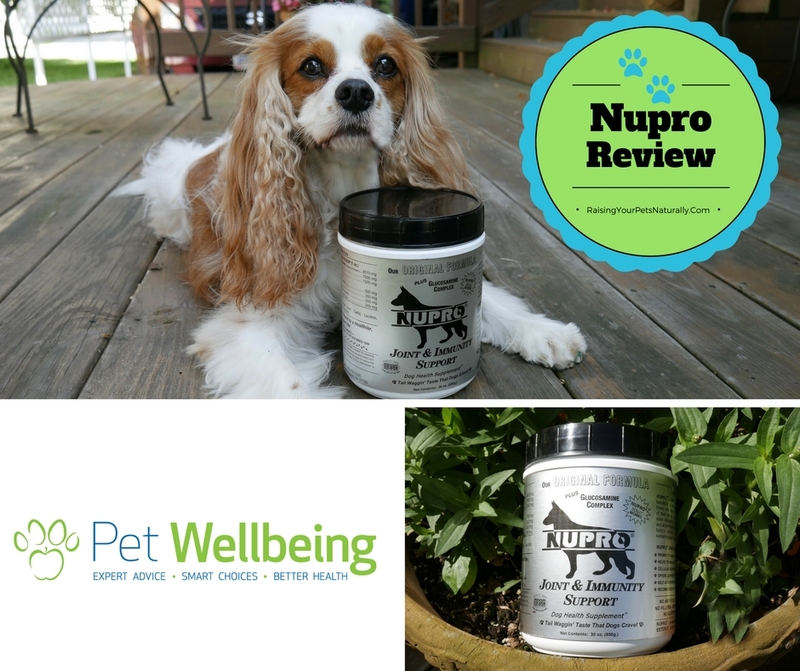 The friendly team at Pet Wellbeing reached out to me about their natural pet product line, and we thought Nupro Dietary Supplement would be a great product for Dexter. 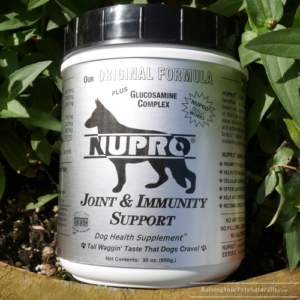 Nupro Joint Support Supplement for Dogs is comprised of ingredients that are human-grade, not animal-grade. This dog joint supplement contains a variety of vitamins, minerals, enzymes, amino acids, and essential fatty acids in their natural raw forms. Glucosamine, MSM, and Ester-C provide healthy joint support. Glucosamine has been successfully used to treat osteoarthritis in both pets and people. It is considered to be one of the safest treatments for aging pets. Glucosamine can relieve pain associated with joint disease, arthritis, and even hip dysplasia. When a dog ages or has joint disease, their cartilage breaks down, and they are not able to build new cartilage quickly enough. Glucosamine helps rebuild a dog’s cartilage, which decreases a dog’s pain and increases mobility. Glucosamine complex helps promote the synovial fluid that lubricates the joints. MSM (Methylsulfonylmethane) is a natural source of bioavailable sulfur, essential for the growth and repair of tendons, cartilage, and other connective tissues. MSM is an anti-inflammatory agent and helps maintain healthy fluid pressure of soft tissues. Ester-C Chelated Mineral Blend provides dogs with extra Vitamin C to support a strong immune system and healthy joints by boosting absorption of Glucosamine Complex and MSM and promoting collagen formation. Glucosamine, MSM, and Ester-C are great supplements for dog’s joint health. But remember, what do we need to do before giving something to our pet? We need to flip over the jar and read the entire ingredient panel. Every ingredient is important to our dog’s well-being and good health. All the ingredients are pretty impressive; however, I did need to do a little digging on the “liver.” Why? Because the species is not stated. I want to know what kind of liver. I don’t want it to be whatever scraps are found on the cutting room floor. This also goes for things like “fish” and “meat.” I want to know what and where. Good news. The liver is pork liver, and it is also human-grade, which means it was not on the cutting room floor to get moldy. If you do an internet search for “is garlic safe for dogs” you will come up with a lot of different answers. But don’t worry, in proper doses, garlic is beneficial to most dogs! If you are concerned, or your dog is on medications or has health issues, I urge you to contact a holistic veterinary food therapist prior to using. The other ingredient that can be questionable is yeast cultures. Yeast can have many health benefits for dogs, including providing vitamins and maintaining healthy skin and coat. However, some dogs have allergic reactions to yeast, so it is important to keep an eye out for scratching. So my verdict? Dexter is now using Nupro Dietary Supplement. As with any supplement or new food, we are starting slowly to ensure Dexter’s gut tolerates the change. I have been giving Dexter 1/3 of the dose in his breakfast. It’s been a week without any change in his bowels or gut. He isn’t doing any extra scratching (we are dealing with seasonal allergies right now). I will increase his dose to 2/3 for a week, then the full dose. I am happy so far with the product and plan on continuing to use it. If you have a dog with mobility limitations, a senior dog, or a dog breed that is predisposed to joint disease, please get them on a healthy diet full of real food and then check out Nupro Dietary Supplement sold at Pet Wellbeing. Remember, your dog is counting on you for his good health. 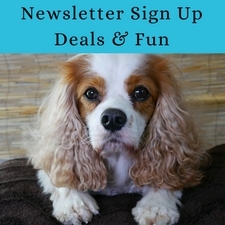 Are you proactive with your dog’s joint care? Tell me in the comments. I really like the ingredient profile on this. It goes beyond the normal joint supplements. Thanks, Carleen. It really is a nice product. What a great post. Our golden lab, Maggie has hip dysplasia and surgery wasn’t an option for us so we has been on glucosamine supplements for a few years and has been doing well. Going to head over and look at Nupro as another option for her, thanks for sharing! I’m glad to hear Maggie is doing well. I hope Maggie finds this supplement beneficial to her care. I’m glad that you like the supplement so far! I hope it helps Dexter. Thanks! It’s a keeper for us. We’ve never heard of this brand, but do use joint supplements. That’s great. Joint support is important. Mr. N should be in MO with all his activity, especially luring. Thanks for such an informative post! After hearing a lot of good buzz about Nupro a few years ago, I bought it for one of my dogs, and I noticed how much better she seemed to be walking. Thanks for the reminder! That’s great! I love to hear how things work for others. Nupro sounds like a great product. Ruby doesn’t officially have any issues yet, but she is about 10 so definitely the age we should start thinking about this. She is on a couple of other meds so as you recommended, I will talk to the vet first. 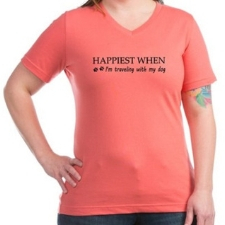 Had not heard of this brand until reading your post. All of my dogs are young and are quite healthy due to a good diet and exercise. Definitely will keep this in mind as they get up in years. I like the look of the ingredients in this product. We use supplementation for cats – and they really help in managing health conditions. Nupro is a great supplement for older dogs too. Lovely Layla. Zora, at almost 14, is on a daily regimen of joint support. So far, Simon, almost 10, has no joint issues but from your post it sounds like there are some proactive steps we can be taking to make sure it stays that way for as long as possible! Piper, who is almost two, has some genetic issues with her joints and soft tissue that are being assessed by an orthopedic specialist but it looks like she will end up needing daily support for the rest of her life to avoid early arthritis and other complications that could arise from her genetic issues. It would be nice if all three dogs could be on the same supplement. Not sure if Piper’s food sensitivities include yeast but the Nupro sounds like it could be a good option for all three dogs. Yes, I lean towards being as proactive as I can with both my pet’s behavioral health and physical health. If I can just get there for me. 🙂 Hopefully, you can find something that will accommodate all the pets. We use Jungle Kitty for our seniors joint health. it is so great, but sadly is being taken off the market as it is made by a dog company not interested in cats. What a shame – joint help in cats and puts is very important. Oh, that’s so sad to find a product you love and it goes off the market. I hope you find something that works for you. I’ve used Nupro supplements in the past and I love to see these components: Glucosamine, MSM, and Ester-C provide healthy joint support. MSM is a really key piece and I know these all help with osteoarthritis as I use to have a dog that suffered from this. I haven’t been using Nupro for a few years so this is a good reminder. Thanks, Christine. And thank you for that information. It’s nice to hear feedback from folks who have used Nupro. Looks like a high quality supplement. It’s helpful to be able to read about the ingredients and their effectiveness in such great detail. Thanks on both accounts. Yes, I try to go through the ingredients for my readers. It’s always about the entire ingredients in a product. Wow! This supplement really does have an impressive list of ingredients. It sounds like it could be very helpful to aging dogs. It will be interesting to see how things change for Dexter once he has been at the full dose for a while. Great detail in this review, thanks. I haven’t used any supplements for my dogs yet but have considered a joint supplement for my super active Husky. I’m pretty proactive when it comes to joint care for my dogs since I compete in dog sports, but I hadn’t heard of this brand. Thank you for sharing! I’ll have to give it a try! Oh, agility is a hoot. Yes, you have to be careful and proactive to keep those pups strong and healthy. 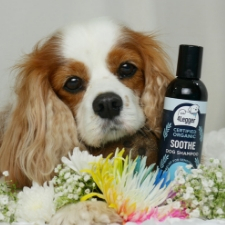 My dog’s groomer of many years sells this and many of his clients have had amazing results. Looks like Dexter is a little supermodel posing there. 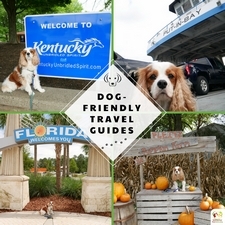 Thanks for sharing this product so pet parents know about it! Oh I haven’t hear of this one. Thanks! Does the processing of nupro alter the natural products listed? Hi, Glenda. That’s a great question. I would contact the brand for their processing details.